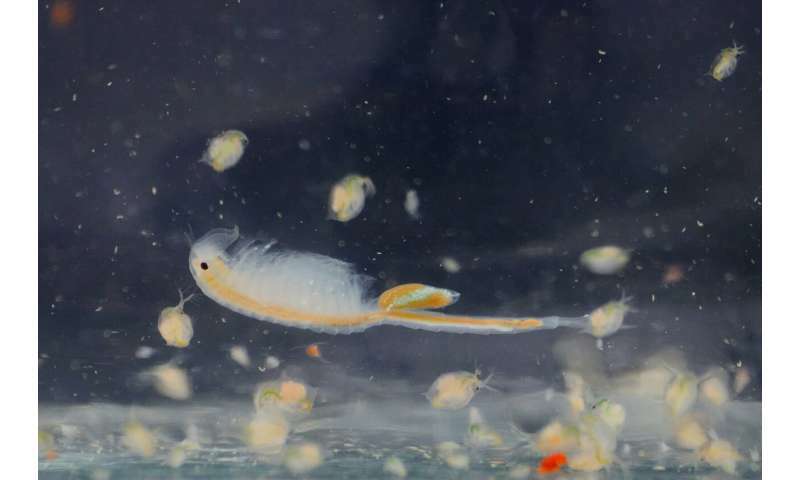 For their study, scientists from the iDiv research centre, the Uni Halle and the WasserCluster Lunz research centre in Austria used long-term data on the presence of invertebrate zooplankton such as little crustaceans and rotifers in the saline ponds ("Salzlacken") of the Seewinkel region of eastern Austria. These so-called soda pans are shallow ponds fed by precipitation and groundwater, which are usually less than a square kilometre in size, regularly dry out and can reach a very high salinity. In the 1950s, the 270 square kilometre area of study had more than 110 of these soda pans. Because of agricultural intensification, their numbers had dwindled to about 30 in 2010—a decline of 70 percent within six decades. In 1957, ecologists found 64 species and in 2010 just 47—a net loss of 17 species. What were the reasons why so many plankton species disappeared from the soda pans? Was it just because their habitat was lost or were there other factors? In fact, the researchers found that, based on calculations and models, the decline in the number of soda pans from 110 to 30 should have resulted in the extinction of just four zooplankton species. "Even if we had not taken into account the number of soda pans, but rather their area, we would have expected a decline of only nine species," says Prof Jonathan Chase, head of the Biodiversity Synthesis Research Group at iDiv and Uni Halle and senior author of the study. Instead, 17 species went extinct from the region. 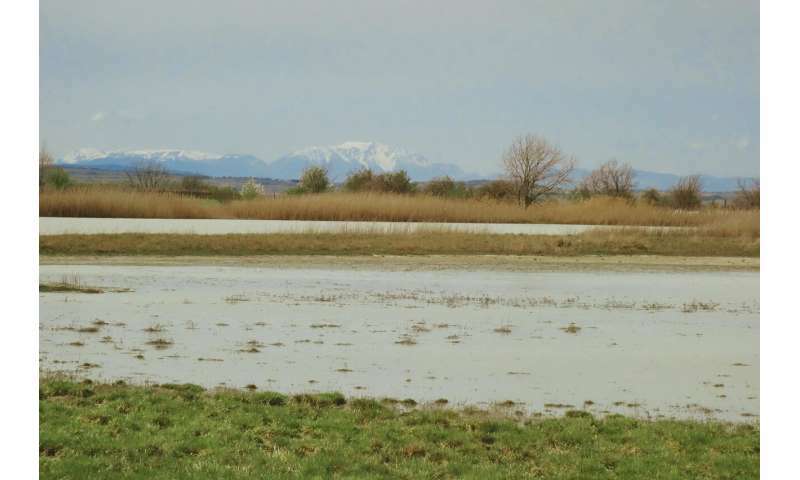 The researchers were, however, able to rule out that deterioration in the quality of the habitat played a role in the additional drop in the number of species; for example, changes in salinity and fluctuations in the nutrient content, water levels and turbidity of the ponds. "So there must be another factor on landscape scale which is responsible for the extinction of these species in this region," says first author Dr. Zsófia Horváth. Horváth carried out the study at the WasserCluster Lunz research centre in Austria as well as at the iDiv research centre and Halle University. Spatial processes can explain the sharp decline in species richness; when many soda pans disappear, the distances between those which remain are quite large, greatly reducing the ability of zooplankton to colonise new habitat patches—for example via the passive dispersal of eggs through wind, or as 'hitchhikers' on amphibians and birds. "That species disappear locally happens again and again. But if they have no possibility to repopulate habitat patches, it becomes a problem," says Jonathan Chase. If there are fewer soda pans in which a specific species dwells, and if the remaining soda pans are far from each other, the possibility for this species to redisperse is low, the scientist explains. This means that local extinction can no longer be countered by recolonization from the region. Metacommunities, that is, communities of organisms that are distributed over multiple habitat patches and are potentially connected through moving individuals, hence experience an additional effect at the regional level when habitat patches disappear locally. This has always been widely suspected, but has, up to now, rarely been proven because long-term studies are scarce. Thanks to the data on soda pans in the Seewinkel region, this gap in knowledge has now been closed. "This is important because this effect can now be taken more into consideration in future modelling—for example, when calculating expected losses of biodiversity when habitat is lost," sYs Chase.